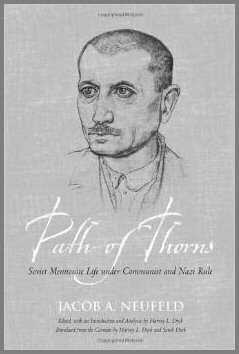 Jacob Neufeld's extraordinary memoir documents his journey from imprisonment in a Soviet labour camp in the 1930s, his epic trek from the Soviet Union first to Germany in 1943 and to Canada in 1949. 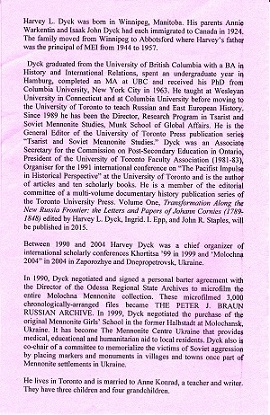 Harvey Dyck, emeritus professor of History at the University of Toronto, translated the memoir, edited it and, based on his deep understanding of Soviet Mennonite history, wrote the Introduction and analysis. 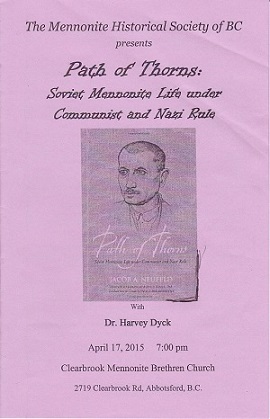 Dyck will talk about the relevance of this remarkable book to the present generation.